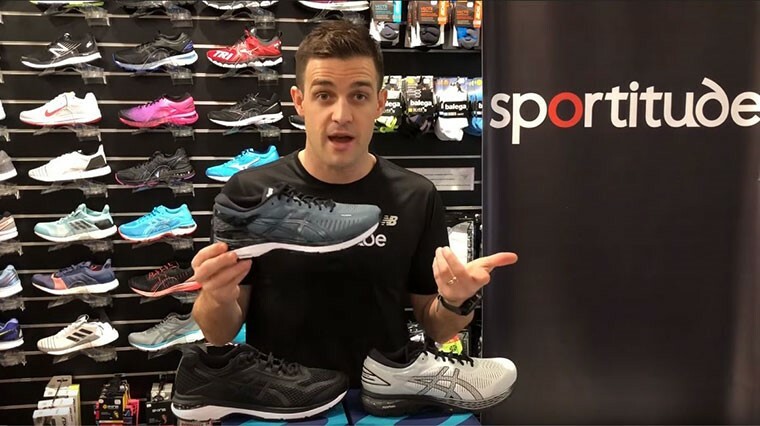 Now in a fresh colourway, Josh reviews the highly anticipated Asics MetaRun running shoe and highlights what sets it apart from its rivals, the Asics Kayano 25 and Asics GT-2000 6. 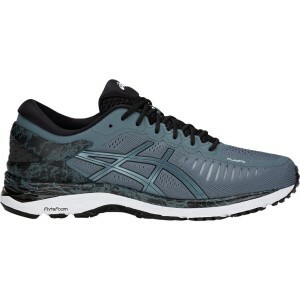 More responsive than the Kayano and with plusher cushioning than the GT-2000, this high mileage neutral running shoe fills a gap in the Asics running shoe family, accommodating both long distance and tempo runs. It features a breathable FluidFit upper, MetaClutch heel counter for a locked-in fit, FlyteFoam midsole and durable outsole with Guidance Line and Trusstic System. Check out the full review with transcript below. Hi guys, Josh from Sportitude here. Today we have a shoe review on the Asics MetaRun. I’m holding the men’s sample and if I happen to be holding the women’s, surprise surprise it’s exactly the same with a gender neutral colour scheme. The reason I have a Kayano and a GT-2000 as well is to explain the subtle differences in all the shoes and how this little guy was engineered and created. Without further ado lets get stuck in. The Asics MetaRun has quite the hype. It’s a very exclusive shoe. Not a lot of stores will actually carry it in Australia and for that matter not a lot of stores in the northern hemisphere of the globe will carry the MetaRun either. It’s restricted distribution which is exciting and we at Sportitude love that. We are fitting specialists and we do get some unique shoes from time to time from all the brands. We have a Kayano here which has a fantastic following. With 25 years of making a specific series of shoes, Asics have got to have something right. The GT-2000 6 has almost the same amount of following over the years as the Kayano. We’ve got three similar shoes all designed for that medial or overpronated through midstance. All three shoes have DuoMax dual density on the medial side at slightly different gradients. However, you’ve got a shoe here, the MetaRun that is really expensive and there’s no denying that. I’m not going to sugar-coat it. It comes in at a full price of AUD$320, in comparison to $260 for the Kayano and $200 for the GT-2000 6. Paying that money, you want to know you’ve got something pretty magnificent on your foot. I’m going to explain my opinion of this specific shoe and what I found was great about the MetaRun. This is the third colour release of this shoe. I’ve never done a MetaRun review before in all my YouTube time, but I can tell you right now, I’ve ran in every single model bar this one and they’re all exactly the same. There is nothing different from this MetaRun to the first MetaRun that was released 24 months ago. It’s just the colour that’s changed. What I found with the MetaRun initially was it’s a very light high mileage shoe. 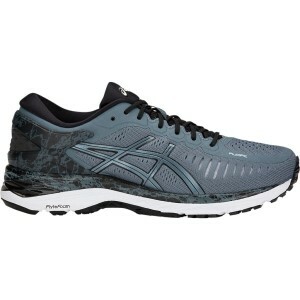 I have ran and done reviews with the Kayano’s in the past, the same with the GT-2000. Kayano – love it, it’s a nice, soft plush feel underneath the foot. You get ample amount of cushioning. It’s a really good, stable high mileage neutral shoe. GT-2000 on the other hand is a more responsive version of the Kayano. You stay on top of the ground, it’s nice and light. You still get plenty of support underneath that medial arch, however the cushioning isn’t quite as soft as what you’d get out of the Kayano. Into the MetaRun. This shoe here isn’t quite as soft as the Kayano, however it is softer than the GT-2000 and it’s just as responsive if not more than the GT-2000 itself. If you’re looking for a shoe that’s going to give you more of a plush feel underneath the foot, however feel a little more responsive and you didn’t get the responsiveness out of the Kayano, and you didn’t get the cushioning you wanted out of the GT-2000, enter the MetaRun. That’s where this shoe comes in. It’s a tricky one because it is such a high end price point. You’ve got to sit at home and justify if you want to spend that money on something you’re not getting out of two shoes. It only comes in one width, D in men’s and B in ladies'. I will make one thing clear. I would drop half a size in the MetaRun. That’s just my personal experience. I’ve been a 9US in both the GT-2000 and the Kayano, and I’m an 8.5 in the MetaRun. There is a different fitting construction with this shoe which I personally find. Keep that in mind if you’re thinking about putting this shoe in your running closet. Additional features in this shoe. You have the Guidance Line underneath which is what Asics do in their high mileage shoes and horizontal flex grooves for the forefoot. You’ve got a very hard-wearing rubber on the lateral side of the shoe. The reason they put that in there is because they know a runner using this shoe is going to want to vary their speeds, hit the ground with some force and get up onto that midfoot-forefoot. Having a little more of a harder rubber through that lateral side of the forefoot is going to give your shoe more protection. They are protecting the asset of the shoe, which is the midsole. The outsole plays a huge part in that. The Trusstic System sits in the middle of the shoe which splits the rear cushioning pad from the forefoot responsive cushioning pad. It’s a neat feature. They put a carbon plate on the medial side. The carbon plate is a stronger component which is going to help give that Trusstic System a little more integrity. You can see the carbon set up on the medial side. That adds more support and integrity to that Trusstic beam. On top they’ve got a mixture of overlays and underlays, so it’s a really supportive upper system in the MetaRun. The clutch heel counter is called a MetaClutch heel counter because on the first release of the MetaRun, they called the new heel counter the MetaClutch heel counter. They’ve done different versions of the MetaClutch as they’ve gone through with other shoes in the Asics range. The MetaClutch heel counter which is an external heel counter gives plenty of support around that collar or the back half of your calcaneus and ankle which is nice and stable. As you come through the forefoot it’s very light. The FluidFit upper is nice and breathable and not restrictive on your foot. As I touched on, the overlays you can see in the medial side on top help provide more integrity on the medial side of this shoe, giving it a bit more support. Again, harping back to what this shoe is designed for. It’s designed for someone that wants to use it for a long, high mileage running shoe, however may want to vary their speeds and pick up their speed a little bit. You need an upper that’s going to be able to hold the foot in when you’re putting a bit more force through your foot when you’re picking up that tempo on some of those runs. It’s a FlyteFoam midsole with a gel component through the heel unit and a gel component through that forefoot as well which sits just under your first metatarsal joint, the last part of your foot leaving the ground. The MetaRun provides it with a little bit of cushioning. There you have it guys. It’s a unique shoe that certainly has quite a following. We get a lot of emails around this time of year asking, “When’s the new MetaRun coming out?”. It’s exciting when we get to launch this specific shoe, however there is some of you out there that probably have never heard of it. Hopefully I’ve given you some information as to why Asics engineered it and where it sits in the high mileage Asics running family. Any questions contact our Sportitude shoe experts. If you haven’t subscribed to our YouTube channel please do. Until next time happy running, we’ll see you down the road.